Attack on Titan Scouting Legion Faction Patch. Measures 2 3/4" x 3 3/8" plus projections. 3 colour options blue, dark blue or black. Attack on Titan Military Police Faction Patch. Attack on Titan Stationary Guard Faction Patch. 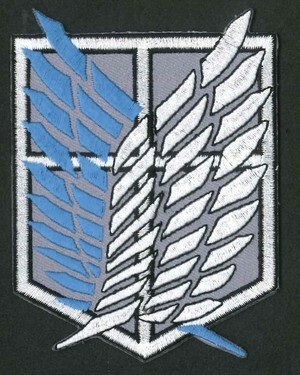 Attack on Titan Cadet Corps Faction Patch. 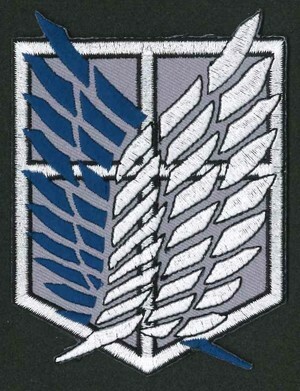 Attack on Titan Scouting Legion Faction Jacket Patch.